Education M.A. (Economics), Panjab University, Chandigarh, First Class with first position in the University, Economics Tripos (First Class Honours), University of Cambridge, U.K., D.Phil, Nuffield College, University of Oxford, U.K.
Manmohan Singh, an eminent economist, is the former Prime Minister of India and the only person after Jawaharlal Nehru to make a comeback as a Prime Minister after serving the post for a full five year's term. He is also the first non-Hindu Prime Minister of India. Before beginning his political career, Manmohan Singh held prominent positions in different organisations. His career started with the United Nations in 1966. His bureaucratic career saw him holding key posts such as an advisor to the Foreign Trade Ministry, Chief Economic Advisor to the Government of India, Governor of Reserve Bank of India and Head of Planning Commission. His political career began in 1991 when India was going through a serious economic crisis. The then Prime Minister of India, P.V. Narasimha Rao, commissioned him as the Finance Minister. He was also the Leader of Opposition in the Rajya Sabha from 1998 to 2004 when Atal Behari Vajpayee was the Prime Minister. Manmohan Singh was born on 26 September, 1932 to a Sikh family of Gurmukh Singh and Amrit Kaur in a place called Gah in Punjab of undivided India. He was raised by his paternal grandmother after his mother’s demise when he was quite young. Later, during the Partition, his family migrated to Amritsar in India. He was a brilliant student all along his academic career. He completed his Bachelor’s and Master’s degree from Punjab University in 1952 and 1954 respectively. In 1957, he earned a degree in Economics from the University of Cambridge and later in 1962, he completed his D.Phil. in Economics from Nuffield College under Oxford University. Manmohan Singh’s favourite pastimes include reading and writing. Manmohan Singh married Gursharan Kaur in 1958. The couple is blessed with three daughters, Upinder Singh, Amrit Singh and Daman Singh. Upinder Singh is a history professor at the University of Delhi. Books written by her include 'A History of Ancient and Early Medieval India' and 'Ancient Delhi'. Amrit Singh works at the American Civil Liberties Union as a staff attorney. Daman Singh is a graduate from the Institute of Rural Management in Anand, Gujarat and from Delhi’s St. Stephen’s College. She is married to I.P.S. officer Ashok Patnaik. Books written by Daman Singh include 'Nine by Nine', a novel, and 'The Last Frontier: People and Forests in Mizoram'. After getting his degree in Economics from the University of Cambridge, Manmohan Singh returned to India and served as a teacher in the Punjab University. He was a senior Lecturer in Economics and went on to become Professor in 1963. In 1966, he was an Honorary Professor at Delhi School of Economics under the Delhi University. Manmohan Singh worked with the United Nations Conference on Trade and Development from 1966 to 1969. He served in the International Trade as a Professor from 1969 to 1971. 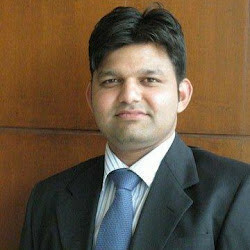 He was appointed by Shri Lalit Narayan Mishra as advisor of Ministry of Foreign Trade. He was a Professor of International Trade in 1969 at the Delhi School of Economics. In 1972, he became the Chief Economic Advisor to the Ministry of Finance. He was the Secretary in the Ministry of Finance in 1976. His entry in Indian politics happened out of the blue in 1991 when the then Prime Minister of India, P.V. Narasimha Rao, inducted him in his cabinet as the Union Finance Minister. At that point of time, India was going through a serious economic crisis. In 1991, he became the Finance Minister of India in P.V. Narasimha Rao's government. Singh remained in the post from 21 June, 1991 to 15 May, 1996. 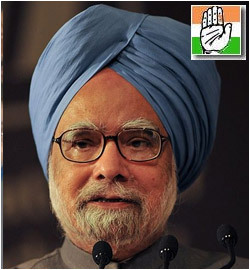 Manmohan Singh was the Leader of Opposition in the Upper House of the Parliament, the Rajya Sabha, from 1998 to 2004. From 22 May 2004 to 26 May 2014, he was the Prime Minister of India and Leader of the Rajya Sabha. He was elected as Rajya Sabha member again in June 2007 and June 2013. He did not contest the 2014 Lok Sabha elections. In 1999, he became a Fellow of the National Academy of Agricultural Sciences at New Delhi. In 1986, he became the National Fellow of the National Institute of Education, NCERT. Meeting of UNCTAD Trade and Development Board held at Geneva from May 1971 to July 1972. Ministerial Meeting of Group of 77 at Lima during October 1971. Third Session of UNCTAD held at Santiago during April and May 1972. Annual meetings of the IMF, IBRD Commonwealth Finance Ministers from 1972 to 1979. Aid-India Consortium Meetings held at Paris from 1973 to 1979. Cancun Summit on North-South Issues in the year 1981. South-South Consultations at New Delhi in the year 1982. He wrote the book 'India's Export Trends and Prospects for Self-Sustained Growth' in the year 1964. He has also written articles that were published in various economics journals. Uttar Chand Kapur Medal in 1954 by Punjab University, Chandigarh, for achieving first position in M.A. in Economics. Wright's Prize for distinguished performance in 1955 and also in 1957 at St. John's College of Cambridge. Adam Smith Prize in 1956 by the University of Cambridge. Padma Vibhushan by the Government of India in the year 1987. Euromoney Award in 1993 as Finance Minister of the Year. Asiamoney Award in 1993 and in 1994 as Finance Minister of the Year for Asia. By the Indian Science Congress Association in 1994-1995 the Jawaharlal Nehru Birth Centenary Award. Justice K.S. Hegde Foundation Award in the year 1996. In 1997 by Nihon Keizai Shimbun, Inc. (NIKKEI), Japan's leading business daily, the Nikkei Asia Prize for Regional Growth. The Lokmanya Tilak Award in 1997 by the Tilak Smarak Trust of Pune. In 2005 the Honorary Fellowship of AIIMS. In 2005 the Honorary Degree by the Oxford University. By Moscow State University in 2005 the "Professor Honoris Causa". Annasaheb Chirmule Award in the year 2000. By the University of Cambridge, UK, the Honorary Doctorate in 2006. In 2010 as the Doctor of Laws by the University of Alberta in Edmonton, Canada.